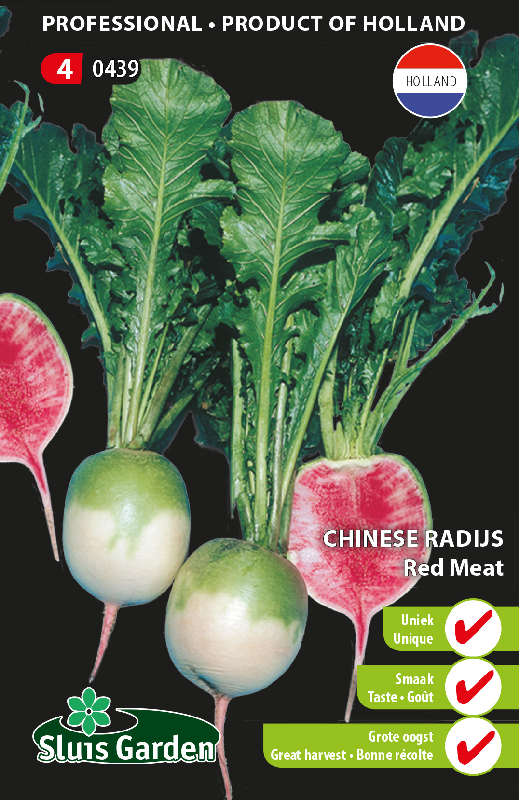 This unusual Chinese radish is sometimes called “watermelon radish” due to its shape and internal colour. 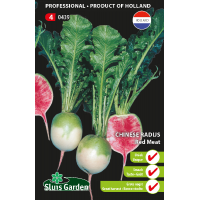 The radishes are an attractive white/light green on the outside, but reveal a deliciously sappy pink interior. This splendid colour combination makes it ideal for salads. Red Meat has a wonderfully mild peppery taste, and has the texture of daikon/white radish. Late summer/autumn cultivation is preferred due to the chance of the crop bolting.